In a climate of fierce competition for federal funds for transportation infrastructure projects, owners who have been able to obtain federal funds for their projects have to ensure the federal guidelines are adhered to during the project lifecycle. This is especially true during construction and project close out. The guidelines are prescriptive and there are various resources to aid owners during the project lifecycle. One thing is for sure, having a proven process in place during the critical construction and close out phases allows for easy execution and adherence to the guidelines. As a professional consultant who has been working in this field for over 25 years, I have learned that the federal process is in place to protect the traveling public and ensure stewardship of the transportation infrastructure available funds. Owners who have frequently utilized the federal process to improve their transportation infrastructure have become very familiar and well versed with the federal process, they build relationships and have repeat opportunities to use federal dollars on their projects. They also have a process in place, internal to their organization, to allow for easy execution and adherence to the guidelines. I have been sharing my experience and processes for adherence to federal guidelines for most of my consulting career. Utilizing the federal process to improve transportation infrastructure is not as daunting as you may think! I have learned to get involved not only with the owners, but also with the oversight agencies to see that all milestones are being reached. 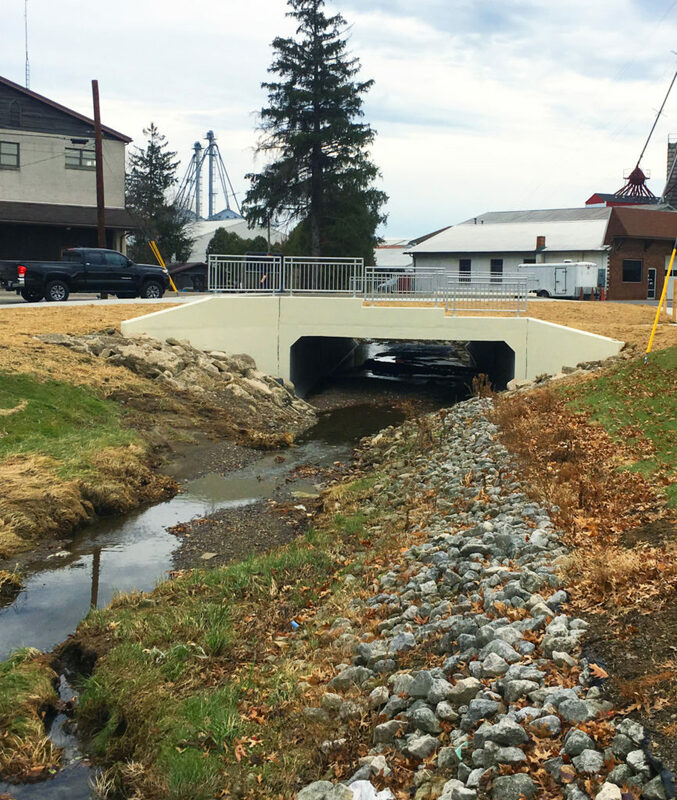 In Ohio, the Department of Transportation has developed an organizational structure specifically designed to guide local owners through the federal process. This level of checks and balances is in place to make it easier to move your project through the federal process. The designer of record and the owner have gone through the design and environmental stages of the project lifecycle to create the contract documents and specifications. The design documents were designed by the engineer of record and should be adhered to, unless the engineer of record approves changes during the construction phase of the project with approval by the owner and the oversight agencies. Design change can be approved by the owner but may not be deemed compensable by the oversight agency. In this case, no federal dollars will be allowed to be spent on the change. For this reason, it is good to involve the oversight agency when evaluating a change during construction. The LPA manual of procedure can be located on ODOT’s website. Utilization of these guidelines will allow for easy verification that the process has been followed and proper documentation has been created and tracked. This also allows everyone in the industry to speak the same language as contractors, inspection staff, construction administrators, owners and oversight agencies. It enhances communication and allows for efficient transformation of data between all parties. Most often, issues stem from miscommunication on projects; speaking the same industry language from the start can eliminate most issues during the construction process. Industry experts are available. Picking the correct project partners is key to the success of the project. In a world where conventional project delivery is still the norm, owners select their contractors by lowest and best bid. However, there are alternative project delivery methods that are acceptable. In most cases, the project team may be selected as the most qualified to deliver the project on time and on budget while meeting the standards required by the federal process. In any case, having an expert on board to aid in the administration of the construction process will also aid in successful project delivery. Material quality and acceptance is also an element of the project that requires an industry expert. Material suppliers go through their own process to obtain a spot on the pre-approved list of materials to be utilized on federally funded projects. Documentation of the delivery and use of these materials is a requirement that must be fulfilled. Quality program and processes are essential to allow for peer review, learning, and development of new staff. It has been a good practice to have a “fresh set of eyes” review project documentation, calculations, change orders and project material certifications as a way to catch any errors, teach others and improve processes. This review should be performed by senior level construction project engineers. The review is done prior to finalizing the project and developing the final change order. The final change order and certification for the project is typically signed by the assigned engineer and the reviewer. I know this sounds elementary, but too often individuals do not ask for help. Time has a way of making a minor problem become a complex problem that requires a lot of manhours to resolve. Surrounding yourself with industry experts will help make sure that issues are addressed and resolved in a timely manner following the correct process. 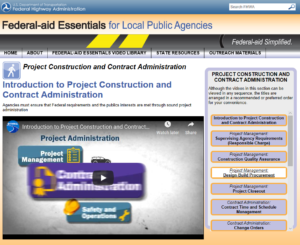 Federal funds are available for various types of transportation infrastructure projects. If your project meets the requirements, you can consider applying for funds in the future, now knowing that the federal process is not as daunting as you may have once believed!